How often do you think about Satan and his allies? Are you quick to see his influence behind unfortunate and wicked events? Or do you prefer to rationalize everything around you as purely natural phenomena? The unfortunate reality is that for “far too long the Western church has given neither sufficient nor serious attention to this topic” (p11) of the Bible’s teaching on Satan and spiritual beings. There is a desperate need for Western Christians to wake up and realize that the powers of darkness are very real, and the Word has much to say about them. 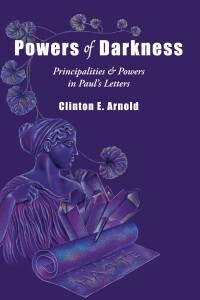 Clinton Arnold’s Powers of Darkness: Principalities & Powers in Paul’s Letters aims to fill this gap, by offering a “biblical perspective on demons, principalities and powers, and the nature of the church’s conflict with the powers of evil” (p15). 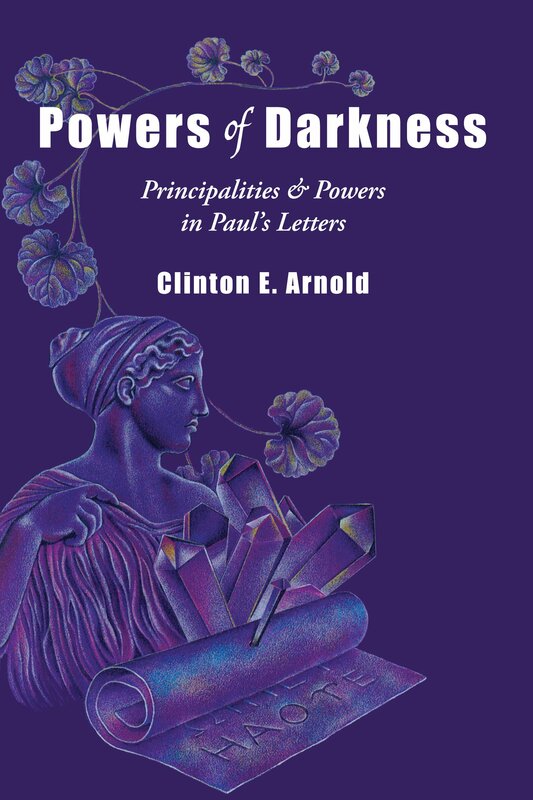 By limiting himself to the letters of Paul, Arnold recognizes the inherent limitations of Powers of Darkness, but sees it as a “first installment” (p15) towards a biblical worldview on the powers. That said, it would be a mistake to underestimate the breadth of Powers of Darkness. While it is certainly focused on the Pauline literature, nearly a third of the book examines first-century belief in the powers, including Greco-Roman culture, Judaism, and the teachings of Jesus. Arnold situates Paul and his writings in a proper context by summarizes various forms of magic, divination, and astrology practiced in the first-century. The fascinating sketch of folk belief is drawn from papyri, tablets, and amulets; as well as NT writings such as Acts 8, 13, 16, and 19. The chapter on Jewish belief in the powers includes both the Old Testament and other writings that reflect a developed interest, such as 1 Enoch and The Testaments of The Twelve Patriarchs. Lastly, Arnold overviews Jesus’ and the powers in His temptation, exorcisms, teachings, and death and resurrection. At this point, Arnold shifts to the second part of the book: 7 chapters devoted to Paul’s teaching on the powers. This includes sections on the identity of the powers (ch 6), their defeat on the cross (ch 7), Christian’s new identity in Christ (ch 8), the powers’ influence on believers (ch 9), extended looks at Colossians (ch 10) and Ephesians (ch 11), and Christ’s final defeat of the powers in His return (ch 12). While this is the heart of the book, it builds upon the important foundations laid in part 1. There is too much content to summarize here, but suffice to say, Arnold rightly emphasizes the importance of understanding Christ’s work and one’s own identity through union with Him. Therefore, perhaps surprisingly, Arnold identifies a key element of spiritual warfare as “study of Scripture and theology” (p121) amongst other things, such as pursuing prayer and purity. In the final part, Arnold addresses the question of how we should interpret the powers today. In light of our scientific and technological advances, should we see Paul as merely a man of his own time and recognize his teachings in this area can at best indirectly apply to us today? Arnold emphatically argues against this conclusion and addresses how the powers relate to individuals and structures of the world. Powers of Darkness is thoroughly grounded in the Scripture. This is the furthest thing possible from the sometimes typical anecdotal-driven teaching on Satan and his cohort. Those wanting to engage with the Word should certainly pick this up. Arnold is unashamedly evangelical, holding to the reliability of Scripture and unafraid to affirm complete Pauline authorship. Interestingly, Powers of Darkness sits an unusual balance between academic and pastoral, often swaying from one to the other depending on the section. For example, while Arnold is more pastoral in his material on Paul, he is entirely dispassionate and formal in the first section, save for the chapter on Jesus. This is not to say that he is ever unscholarly, but that his tone shifts when he works with the Biblical material. What may be seen as a weakness to some is a strength to others. I, for one appreciated that Arnold was not dispassionate when discussing a topic that Christians are too dispassionate about! Accessible and devotional scholarship is much needed, although some who enjoy the middle portion of the book will struggle with the earlier and later chapters, being more academic in tone. After being presented with a comprehensive first-century background of the powers, many of Paul’s texts suddenly come to take on deeper and greater shades of meaning. The “elemental spirits of the world” (Col 2:8) is one such debated text that, once the profusion of astrology in Paul’s world is recognized, it is compelling to recognize Paul as speaking of the same thing, rather than the other possibilities. Some readers may feel that Arnold over-interprets the NT to fit his thesis at times, however. One such example would be 1 Cor 2:6-8, which Arnold takes to be demonic rulers rather than human. While I’m not convinced either way, Arnold’s argument is not particularly strong, being largely dependent on the fact that Paul can use this vocabulary not just for human powers, but also demonic. But this doesn’t solve the debate, it just reiterates it! Arnold wisely avoids speculation and stays within the boundaries of Paul’s writings, which are largely uninterested with the whats and whys of the powers and how they relate to the larger world, and far more concerned with how to build up and exhort believers into spiritual maturity. There is even a section on “what Paul does not say” (p98) regarding the identity of the powers. However, considering that his section on Judaism includes both the OT and noncanonical works, I do wish Arnold were a little clearer on what Christians should believe about the powers. Since much of the OT and NT doesn’t teach the powers, but presuppose their existence, and share some common ideas with the larger ancient world, how far should we go in accepting noncanonical testimony? Should Christians accept details 1 Enoch as mostly reliable, partly, or totally unreliable? Jude referred to 1 Enoch. In fact, he seems to assume some of its theology is correct; but did he accept its broader teaching on angels? Arnold carefully presents a nuanced defense of individual and personal spiritual beings that stand behind and endorse individual evils and corrupt societal structures and cultures. Rather than demythologizing the powers, or equating them with evil regimes and cultures, Arnold rightly emphasizes their individual, personal, real existence. However, Paul’s writings present a more complex picture at times than Arnold does. For example, “sin” and “death” are sometimes personified (e.g. Rom 6:13-14 and 1 Cor 15:26). How should we understand this? A comprehensive treatment of Paul needs to account for these, and Arnold has little to say on that aspect. One may disagree with Arnold on some details, but the majority of Powers of Darkness is surely correct, and desperately needed to be received by the church. It is regrettable that stereotypes often contain some truth: many who believe in the powers are Biblically ungrounded, with a anecdotally-based theology, and many who pride themselves on biblical fidelity are suspicious of all things supernatural and miss what is written on the pages in front of them! The fact that a fairly small book with a narrow focus (powers in Paul’s letters) is so singularly needed to be read is as much an indictment of our culture as it is a compliment to Arnold’s scholarship and helpfulness. Powers of Darkness is certainly a much-needed corrective and/or wake up call for the church, but it is also one piece of the puzzle; more work will need to be done on the spiritual realm in the OT and rest of the NT for a comprehensive biblical-theology of the powers. Powers of Darkness faithfully serves its role in the race and it remains for someone to pick up the baton and run with it. Perhaps most importantly, Powers of Darkness had a profound impact on me. Pretenses of objectivity aside, I was deeply moved by taking a long look at the Bible’s teaching on spiritual beings and warfare, and provoked to a renewed consciousness of their existence but Christ’s tremendous victory. Powers of Darkness gives a fresh appreciation for an oft-neglected and/or misunderstood aspect of the work of Jesus; I heartily recommend it as a carefully balanced, Biblically grounded, pastorally concerned, Christ-exalting work.